What is “vibing” in jazz, and why does it happen? 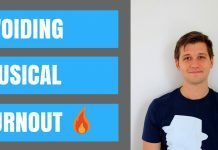 If you’ve been around the music very long, you may have experienced “vibing.” “Vibing” is a mean-spirited attitude toward other musicians and the way they play the music. “Vibing” is when the house guitarist at the jam won’t talk to the singer sitting in. “Vibing” is the snide remark made by another musicians during the alto players solo. “Vibing” is when the famous guitar player tells the poor bass player sitting in to go learn the @#$% changes. “Vibing” is when the experienced trumpet player takes his eye glasses off his face and puts them on upside-down while making faces to the guitarist after the drummer messes up at the jam session. “Vibing” is when the drummer starts making cross-eyed facial expressions to the bass player during the horn player’s jive solo. “Vibing” is the knowing glances the in-crowd of musicians gives to each other around the new-comer. “Vibing” is when Papa Jo Jones tosses a cymbal at a young Charlie Parker’s feet. That’s probably the most famous example. “Vibing” is when Buddy Rich fires his whole band at the same time. “Vibing” isn’t just limited to jam sessions, but that’s a place where it can happen a lot. If you aren’t familiar with vibing, these are just a few examples. I’ve seen many of these things happen myself, and the rest of the examples are from jazz folklore. Here’s a good article by pianist George Colligan about jam session etiquette. Vibing is mentioned as both a bad and a good thing. 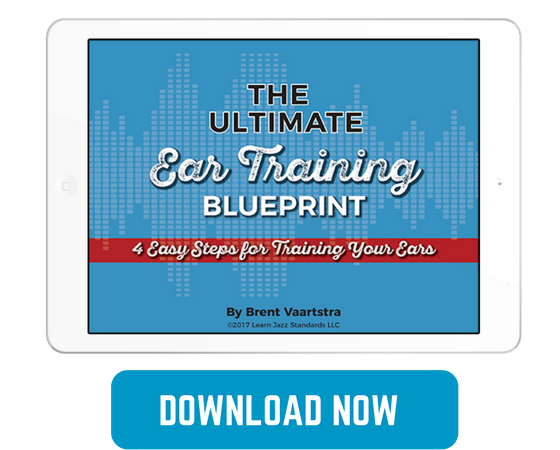 It can help motivate people to practice more, in some cases. Maybe that’s true, and it seemed to have worked out that way for Bird. I’ve heard another jazz musician say that he can “be nice or be honest, but not both.” It’s that basic attitude that makes it so tempting to “vibe.” Don’t do it. Vibing is usually passive aggressive and is basically designed to poke fun at another musician or otherwise damage their reputation. Vibing brings out the worst in human nature. Sure, I get it. “Vibing” happens when well-meaning jazz musicians want to protect the integrity of the music. Somebody else makes a dumb mistake, and sometimes they get vibed for it, whether or not they are aware of what the other musicians might be subtly doing behind their back. But there are ways of dealing with problems that aren’t passive aggressive and don’t cut other musicians down. We can keep our musical standards high without compromising our integrity. Jazz musicians can be a frustrated group of people. We work very hard on our craft, and then it can be tough to get compensated financially for our efforts. It can be tough to find gigs. 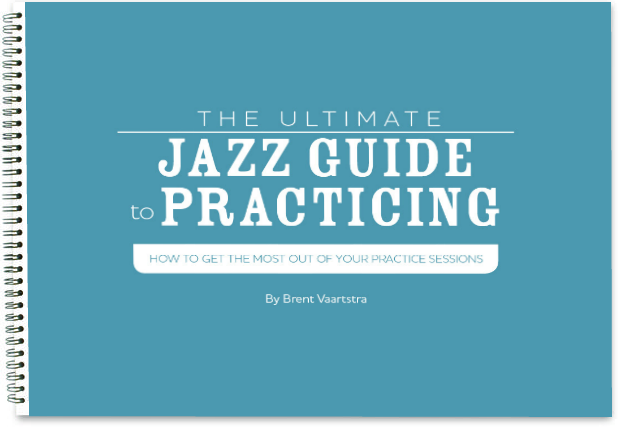 Jazz musicians have to learn a ton about music just to function on the bandstand, while some other musicians might learn few major chords on the guitar, croak out a few simple tunes, and can get paid the same or more. On top of all these frustrations, then “we have to go play this jam session, and we’ve got to play with ______, the alto player who wants to come sit in but only knows 2 tunes, and can’t play changes.” Or all kinds of other musical frustrations. Jazz is tough enough without bringing all these negative feelings towards other musicians into it. We should all be in this thing together. Don’t “vibe” the person with less experience. Instead, be open to helping them! Even some tough love can be better than passive aggressively vibing inexperienced players. Sure, we want the music to be right, but not at the expense of being a decent human being. “Vibing” has been around for a long time. Younger cats get “vibed” and then sometimes get sucked into doing it to the next generation of cats coming up, or even to older musicians. Jazz has enough of an audience problem without the musicians trying to act like Miles Davis. Miles was famous for being cantankerous, but we can aspire to play like him without thinking it’s cool to act like him. Sometimes cats like to vibe other players because they think it raises their own stock by taking a swipe at someone else. If Jesus Christ, Mother Teresa, Ghandi, and even Dizzy have taught the world anything, it’s that we ought to be decent human beings and treat each other with respect. Of course, they all taught us other various things, as well! Lets learn from their good examples of how we can treat each other better. I hope that as musicians we can strive to try to put aside some of our baser inclinations and try to lift each other up rather than cut each other down. You can help someone to improve without vibing them. A good musician doesn’t need to go around cutting other musicians down. Care about other musicians, and help them out. It’s the right thing to do, and it helps build your local music scene rather than alienating the other players. Vibing is damaging to the whole jazz ecosystem. I understand the need for high musical standards, but putting other people down isn’t a good response. Even if someone plays a few clams, misses a few notes, or even if they (gasp) lose the form now and again, resist the urge to vibe them. Mistakes happen, let’s be decent human beings to our fellow musicians and go in with an open, giving attitude toward other players. Jazz is hard enough in 2016 without all the musicians “vibing” each other. “Vibing” is one part of the jazz tradition that pretty much needs to go away. We can push each other to be better in other ways and still have a caring, open attitude toward our fellow musicians. I feel very strongly that I can use the LJS platform as a way to lift up the jazz scene and everyone in it. 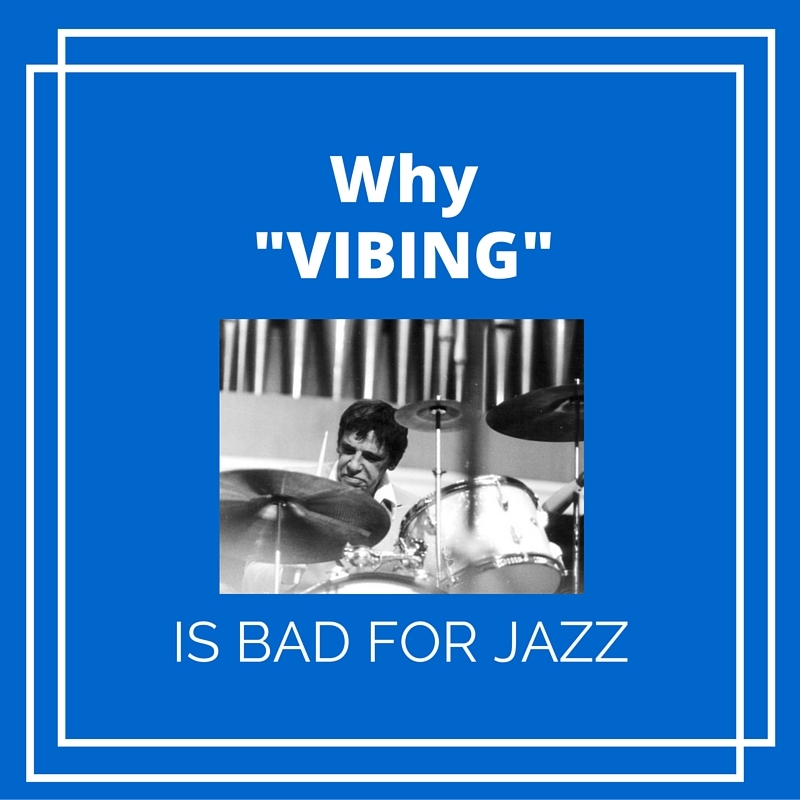 “Vibing” is one part of the jazz tradition that doesn’t help anyone, so I encourage you not to partake, and to put your foot down when you see it happening. Stand up for the little guy. 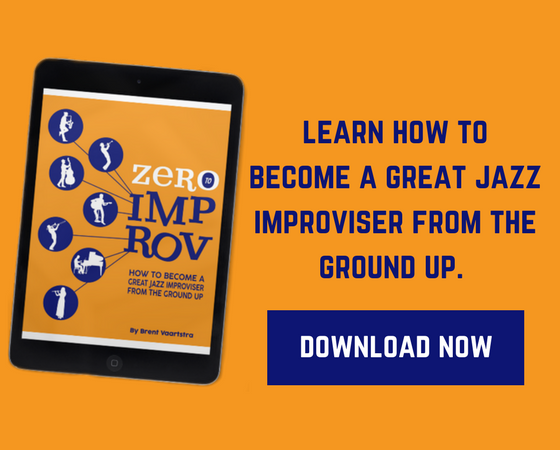 In doing so, we avoid turning more inexperienced players off of the music, and we are ultimately doing more for jazz than if we try to act like we are better than the next guy. We are all in this together! I've never been to NYC, but that kind of BS is really common in Seattle. I'm originally from the Boise area too and I remember plenty of vibing going on there as well, even from much lower caliber musicians than I play with today. I just think it's human nature for many people to be arrogant, snobbish, smug, to pump themselves up by putting others down. It is possible to choose to become tolerant, kind, even magnanimous toward others who are just further back on the same road you are. How easy it is to forget that no one is born a good jazz player. Everyone struggles with changes in the beginning, hits clams, loses the form. Nothing wrong with being frank with people who need to hear it, as long as it's done with an attitude of inclusion, not exclusion. Likewise, there's nothing wrong with having pride in your accomplishments as long as it's balanced with kindness, modesty and generosity of spirit toward others. Contrary to Professor Fletcher's speech in the movie Whiplash, I will never believe that it's generally motivating to be sh*t on by your betters. For every Charlie Parker that rebounds spectacularly from a "cymbal chucking," there are many more talented people who are traumatized and give up altogether or are hampered by a disproportionate lack of confidence. God knows how many more Bird's there would be if the Papa Jo's of the world were kind and encouraging, offering to give a few pointers instead of the cymbal treatment.